Pictures must be uploaded to a hosting site and from there they can be posted in all their radiant glory here. I use photobucket and they have a wonderful app. I am intimately acquainted with the British Enfield, and cracked cases do not surprise me. Often the chambers are sloppy and the brass gets worked A LOT when firing. The barrels were decent quality as mil-surp barrels go, but they were prone to wild variations in groove and bore diameter (anywhere from 30 caliber to 8mm was fair game). A target rifle they are not (usually) but for their intended purpose of 4 MOA out to 600 meters no matter the weather, from sleezy swamps to frozen mountains, to blistering desert, they have hardly an equal in reliability. The bolt was turned down, not for a scope, but to allow the soldier to perform a “mad minute” in which the bolt knob is held between the forefinger and the thumb and held rigidly with the third finger extended, so the trigger can be tripped by it when the bolt is closed. This allowed the soldier to empty that 10 round magazine faster than is possible with almost any bolt action rifle. The action is springy and completely unrigid, but with proper ammo it worked almost too well. The British Enfield required an insane amount of machining to fabricate, but it allowed the queen’s men to be armed better than anyone in the world at the time. The rifle was made to survive insane levels of abuse and it did. It aint pretty, it aint a precision shooter, it needs TLC to shoot cast well, but it’s a slice of history and all things considered, one of the best military rifles of all time. My brother in law has hunted with a 303 British and filled the freezer with it for decades. I bought one just to see what all the hype was about and I fell in love with it, but I rebarreled it and converted it to a 35 caliber wildcat and last year a fellow who couldn’t live without it pried it from my hands one finger at a time, so now I need to find another one. I’d buy it if I were you. It’s a fun rifle! No 1 Mk III and No 1 Mk III* rifles were made in England, Canada, the USA, Australia and India, while ersatz No 1 Mk IIIs were made by village craftsmen near the Khyber Pass on the Afghan-Pakistan border. It’ll be interesting to hear where the one you are interested in was made. You can tell by the markings on the right side of the action under the bolt handle. Tell us what those are. There are numerous permutations in the Lee Enfields and it will be fun to help you figure this one out. 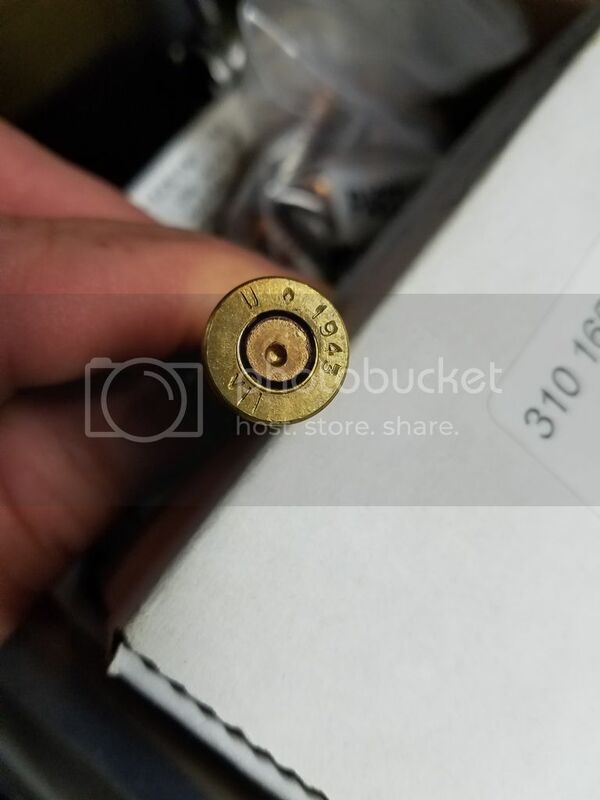 Let us know what the markings on the case heads of the ammo are and we can probably tell you where it was made also. A lot of surplus 303 British ammo is getting old and will crack from age hardening or from improper or too little annealing, particularly when fired in an oversize chamber. I really enjoy shooting Lee Enfields in all their marks. Took me a few times to figure it out but got there. Whats a guy to do after he finally harvested his first deer with a cast boolit!! More on that later…. Wow! Looks like you found a keeper. The sling looks to be original too. Your rifle was made by “London Small Arms Company Limited” in 1917 for the Great War. 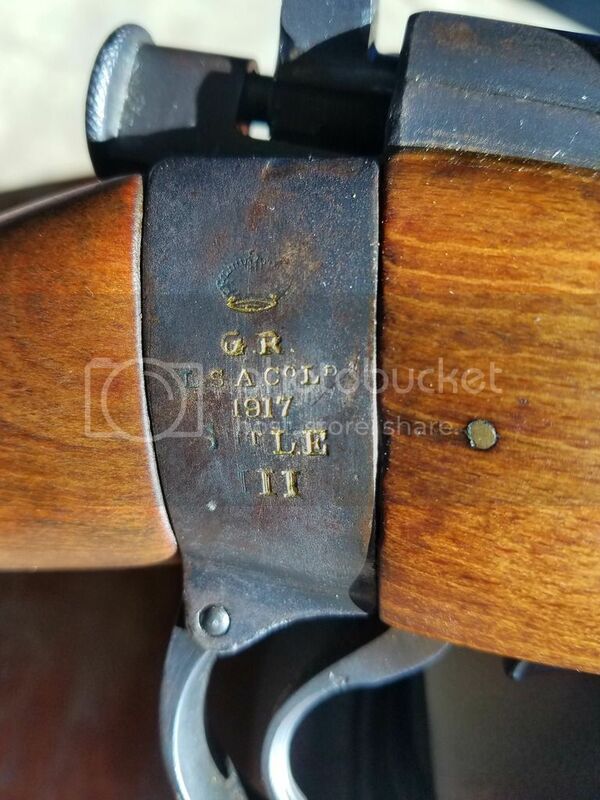 The “GR” at the top means “George Rex” or “King George” as he was the King of England when your rifle was accepted for service. I don’t see the “*” after the III, but your rifle due to its lack of magazine cut off is probably a “*” variant. This variant was the most produced of the No 1 MK III rifles and it’s nomenclature looked like this: No 1 Mk III* Other modifications to this standard was the deletion of the wind gauge or windage adjustable rear sight and the removal of the volley sights. I hope that your SMLE shoots as well as it looks! What is/was the magazine cut off? Like the US Army, the British Army thought that soldiers would waste ammo with a magazine fed rifle so the early Lee-Enfields, like the US Krag-Jorgenson and 1903 rifles, had a magazine cut off. By doctrine, soldiers were to single load until their officer or sergeant ordered them to fire from the magazine. This would have been in the assault or in a final defensive fire situation. 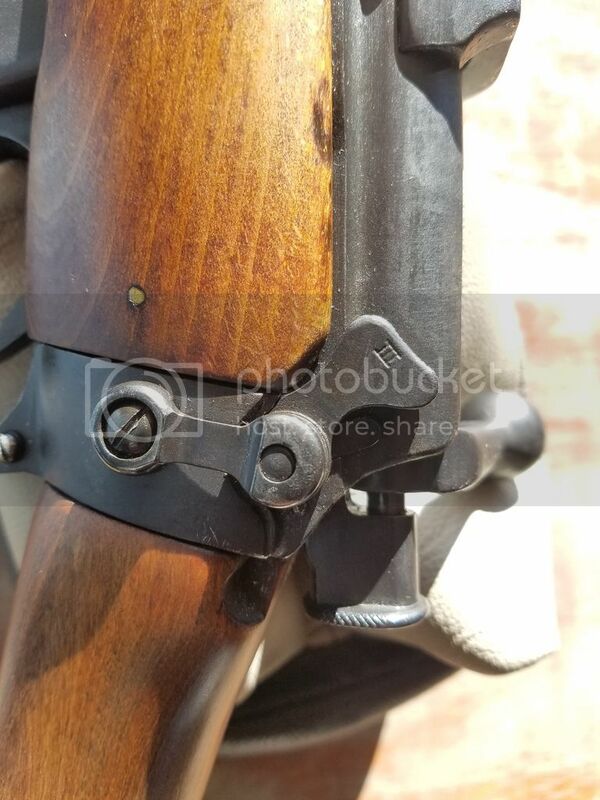 Every now and then, you’ll see a No 1 Mk III* with the thin cut out in the receiver for the magazine block or cut off, but without the actual piece in place. Perhaps this was an very early production “*” rifle, or if the rifle bears an FTR (Factory Thorough Repair) stamp then it would have been a rebuilt No 1 Mk III. 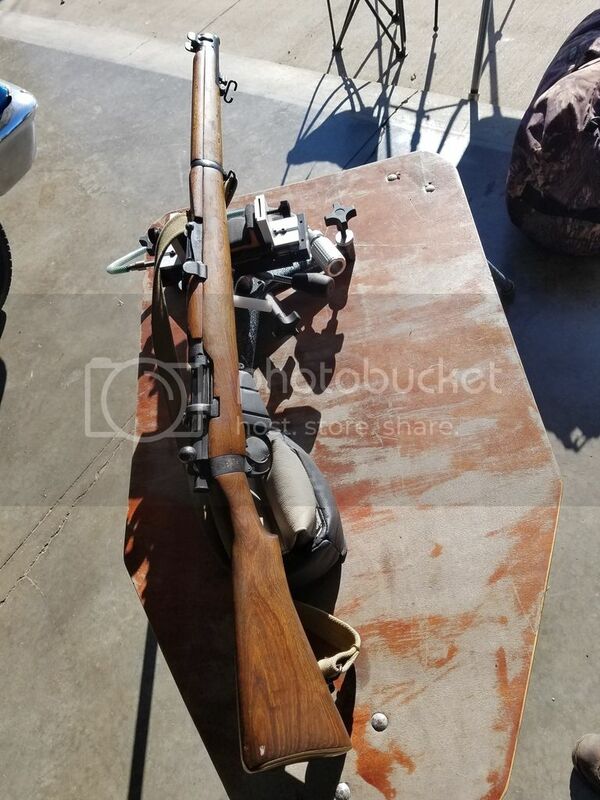 My No 1 Mk III (NRF or National Rifle Factory) with the magazine block and windage capable sight is in the back of the vault right now, but I robbed this photo off of the Internet to illustrate it. Thanks for the book recommendations. Lots to learn, anymore if i cant shoot cast out of it with fun im not interested. The rifle appears to be in really nice condition. Not that im a collector but always like to know if the rifle is original or mix and match parts. 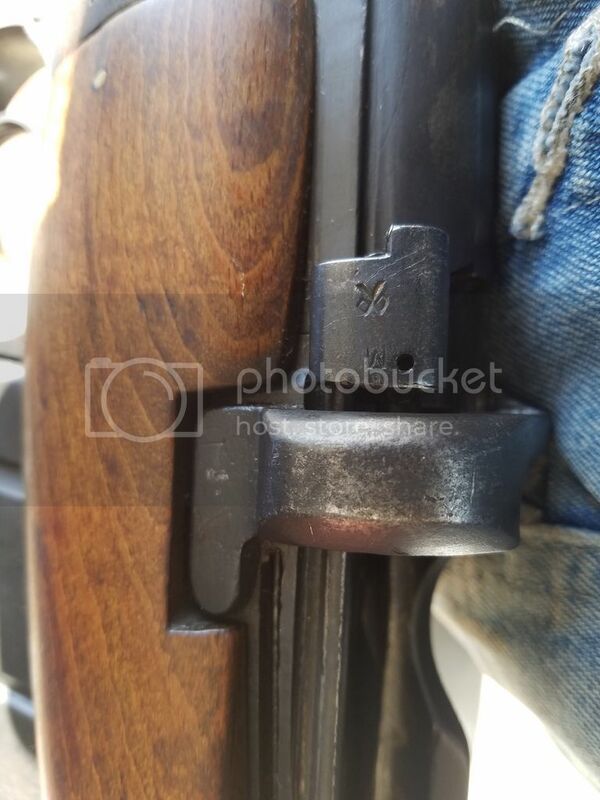 Also the stock is so nice im curios if someone refinished it? DeadWoodDan;n11525 wrote: Thanks for the book recommendations. Lots to learn, anymore if i cant shoot cast out of it with fun im not interested. I like the Lyman 314299 (208 grains) in my Lee-Enfields, although my Lithgow SMLE needs the NOE 316299 given it’s generous bore. 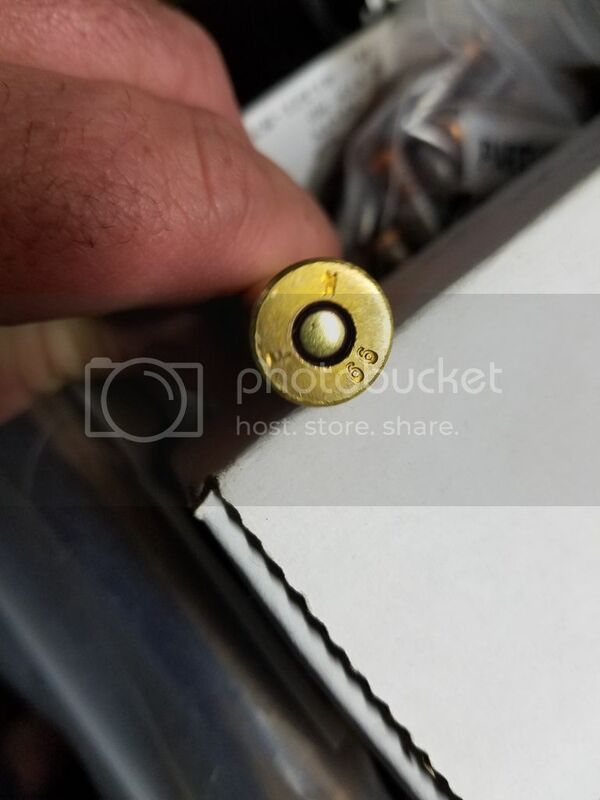 Bore diameters can be all over the map with them, so I’d suggest a larger than normal mould diameter when you get set up to shoot cast bullets in it. Size as need and you’ll be good to go. From the photos, your stock’s finish looks to be original, although I see what look to be some fine sanding marks or scratches. Hard to say, but it looks “as issued” to me on my computer screen. Two samples of ammo i will be receiving with purchase. Will post picks of box but both are plain white boxes with bullet weight and caliber. Would be curios if .303 was ever loaded with berden primers? DeadWoodDan;n11758 wrote: Two samples of ammo i will be receiving with purchase. Will post picks of box but both are plain white boxes with bullet weight and caliber. Both of the rounds pictured have berdan primers,I would also say that the stock wood has been refinished,it wouldn’t have lived in a nice padded box for the last 100 years.By the way,the cartridge with the larger primer is mercuric and corrosive,clean the rifle and boltface with water or an oil mixed with water,immediately after shooting,then clean and oil as any other rifle,don’t leave it to the next day,or you will be sorry. No. 1’s were never made in Canada, nor the USA. India and Australia continued to make them after the switch to No.4’s. No. 4’s were built in the USA, Canada, England, and Pakistan.